"OK, you’ve now got a kitchen - but what can you do with it?" From the outset, Martin James is sympathetic to his readers. By using clear and concise methods of meal creation, he guides even the newest of chefs through the art of cooking. By his own admission, the worst phrase found in a modern cook book is: " "having previously...", as in "grill the meat, having previously marinated it in wine for two days"!" 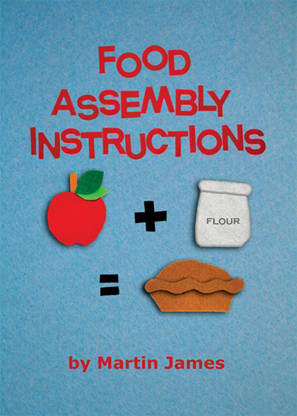 By maintaining logical order and systematic instructions James avoids putting his readers in this predicament by explaining any preparation prior to the start of the recipe. Who says that good food has to be difficult to make? This book gives a wide repertoire of varying dishes including suitable serving suggestions. With a wide range of mouth-watering desserts, and a wider range modern savoury classics, Martin James has created a feast of enticing delights that will appeal to cooks, families and guests of all ages and tastes. Copyright © 2009. All Rights Reserved by Author.